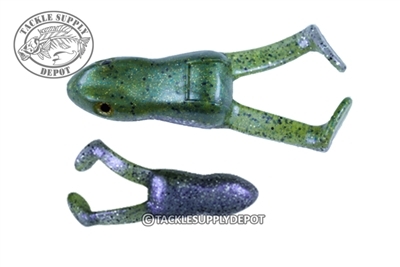 The Top Toad is a new floating hollow body frog that has all the popular features of their top-selling Ribbit, with the added advantages of a collapsible hollow body construction. The Top Toad fishes like two lures in one! It's extremely versatile with the same patented legs and feet of the RIBBIT, giving the lure the realistic kicking action of a running frog when worked across the water's surface.